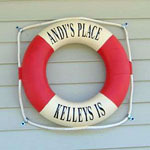 Andy’s Place on Kelleys Island is a 2 bedroom, 2 bathroom, fully furnished vacation rental with beach access. The beach offers a panoramic view of Lake Erie and Cedar Point. Kitchen includes all appliances, cookware and dinnerware. Great room includes a sleeper sofa, satellite flat screen plasma TV, DVD player and stereo. Outdoor grill, sun deck and shaded porch. 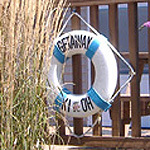 The Getaway on Kelleys Island is a 3 bedroom, 2 bathroom, fully furnished vacation home with a full kitchen and living room. 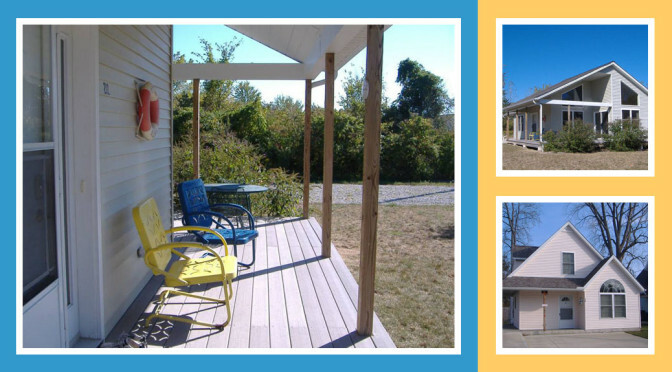 The large wrap around deck offers two picnic tables for outdoor dining and relaxing with friends and family. All appliances, cookware and dinnerware are provided for your convenience. The entertainment center has a television and DVD player.